Plot synopsis: A pair of con artists on Mars comes up with a scheme to bring women from Earth to the all-male Martian colony, charging the men for the service while deceiving them about how beautiful the women really are. Based on a short story first published in Galaxy Science Fiction magazine, in January 1952.
Review: When listening to (as well as reading and watching) science-fiction stories from the past, it is often not the scientific or technological aspects that most date them. It's easy enough to overlook the fact that characters in supposedly far future settings use slide rules rather than computers when making calculations, and printed books rather than the internet to find information; as long as none of this significantly affects the plot. Yet what often remains jarring are the characters' values and attitudes. This episode is a case in point. It's set in the twenty-first century, yet the characters all feel like they are from the era when it was written, the 1950s –indeed, given that the plot centres on the idea of finding wives for settlers it could almost be the 1850s (and set in the American West). In terms of this, the major problem with the episode is its treatment of women. Women are viewed here essentially as commodities, with the story hinging on applying the laws of supply and demand to these human goods; moreover, they have no voices of their own, as despite the episode being about women, none appear in the cast. What saves the story a little is that it is very light-hearted, is well performed and has an ending that is, in its own way, quite sweet. All in all, this isn't as bad as another X Minus One episode which similarly presents a very outdated view of relations between the sexes, Venus Is a Man's World, but it's no classic either. Plot synopsis: A man looking for romance is persuaded to engage the services of a company that offers what it claims is a scientific approach to finding love, by equipping its clients with a small electronic device that guides them in meeting and talking to designated prospective partners. Based on a short story first published in Galaxy Science Fiction magazine, in November 1957; and later in Robert Sheckley's short-story collection Notions: Unlimited, in 1960.
Review: This was the very last X Minus One episode broadcast (before a one-off revival in 1973, with The Iron Chancellor), and although it is not a bad story, it's a little disappointing that this was the series' swan song. It follows a formula Robert Sheckley used many times: a man has a problem (in this case, a lack of romance in his life), but the solution he tries (our hero signs up with a 'romance service') doesn't work out as expected (he experiences various unfulfilling assignations). [For another example of Sheckley's use of this formula, try the episode Bad Medicine.] As with most Sheckley stories, this is fun, with smart, witty dialogue and pacey execution. Plus, there is a satisfying payoff at the end, even if it is not entirely unpredictable. Nonetheless, there are also problems with the story, which is why it is not the ideal choice to have concluded the series' run. First, it barely qualifies as science fiction - there is nothing in it that goes beyond what could be achieved with contemporary knowledge/technology. 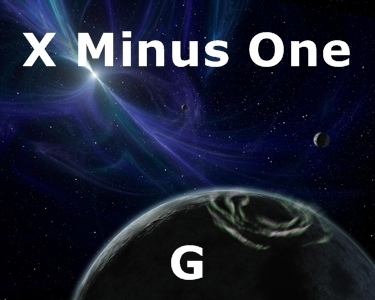 In itself, this is not necessarily a problem, but since X Minus One is a science-fiction series, most listeners will probably be waiting throughout for some sort of more obviously science-fictional twist, but this never comes. Second, the target of its satire, the idea that romance can be reduced to a scientific calculation, is a pretty soft one; most listeners, I would guess, will probably already be fairly sceptical of claims that a partner can be found through 'scientific' match-making, so this hardly shakes the foundations of accepted beliefs. Third, the main character is something of a blank - as are all the women he encounters - making it difficult to care whether he finds true love or not. So, a good enough episode, but a shame X Minus One didn't go out on more of a high. Plot synopsis: A song-writing space engineer is blinded in an accident; later, when nearing the end of his life, he wishes to make a final trip home to see the 'green hills of earth'. Based on a short story first published in The Saturday Evening Post, on 8 February 1947; and later in Robert A. Heinlein's short-story collection The Green Hills of Earth, in 1951.
Review: Robert Heinlein was one of the big names of so-called 'Golden Age' science fiction. However, whereas other writings of this era can still be read and enjoyed today - even if having dated in various respects - I have rarely found Heinlein's work to be very enjoyable. This story specifically is decidedly ho-hum. Borrowing familiar tropes and themes from both Westerns and naval stories, but instead using space as its setting, the episode aims for a melancholic tone, casting its hero as an almost mythic figure of the spaceways, whose time is passing. Yet in this version at least, it is not especially successful in doing so, as we learn too little about the character to make us feel much about him one way or the other. Furthermore, the story's plot is very ordinary and formulaic. Another problem with the episode is that it features a number of songs by its protagonist, which are what make him a legend among spacefarers; this may be a matter of taste, but I found these to be pretty tiresome, which is one reason the story did not really work for me. Plot synopsis: A hunting guide who runs a company that offers clients the chance to travel back into the distant past to hunt dinosaurs tells the story of the time one of his safaris went badly awry. Based on a short story first published in Galaxy Science Fiction magazine, in March 1956; and later in L. Sprague de Camp's short-story collection A Gun for Dinosaur and Other Imaginative Tales, in 1963.